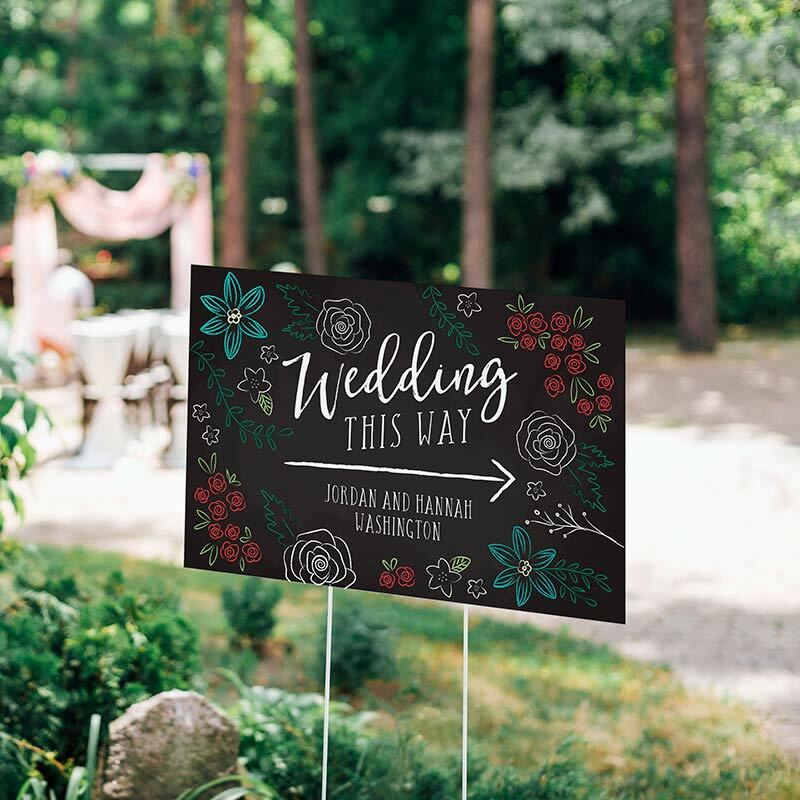 Kate Aspen’s Personalized Directional Sign gets a whimsical makeover with the Chalk Wedding design! 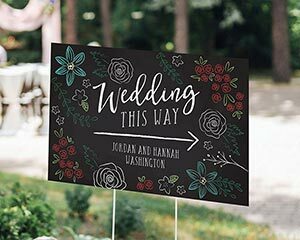 The chalk personalized directional sign for weddings has a chalkboard look with "Wedding this way" over top of a white arrow and surrounded by multi-colored chalk-drawn flowers. Your names and event date can be found in two lines of personalized text at the bottom of each sign!